While there are many home body detoxification products that can be easily found on the market, you can also naturally cleanse your body at home without the need of using any detoxifying products. Among the best methods to work your body detoxification endeavor is simply drinking purified water. Ideally, you should consume 6 up to 8 glasses of water everyday in order to maintain good health. Water is a natural cleanser that can flush toxins out of your body. However, many individuals are not drinking enough water and in most cases many of them end up paying for it with weight gain and storing more toxins in their body. The color of your urine is an easy indicator if you are drinking enough water or not. The color should tell you if you should drink more water. If you are drinking enough water, the color of your urine should be nearly clear. If the color is dark, that indicates that you are not taking in enough water. Although it is normally darker and concentrated in the morning when you first urinate, it should get clearer throughout the day. Lots of individuals do not like taking in a lot of water throughout the day because their activities or work situation don’t allow them to go to the bathroom frequently. However, drinking plenty of water is one of the natural ways to purify your body. By supplying your body with enough water, you will start noticing that you are better able to maintain your weight or even lose weight. Another factor that you should consider in your quest to naturally detoxify your body is to see what kind of foods you eat. When you are seeking to cleanse your body, you should consider eating foods that are high in vitamins and minerals and low in fat. 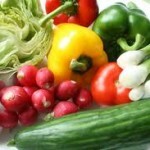 A diet of at least seven fruits and vegetables a day greatly helps in detoxifying your body system. Among the natural foods that you should add to your detox diet includes fish, blueberries, cranberries and leafy greens. These foods all work towards making your body system healthier by providing the needed nutrients to maintain good health. Perhaps you have heard already the old adage that says, “You are what you eat”. This is a true fact; it’s not just a saying. You can begin a healthy eating habit by starting to cut out fats, fast foods, sodium, processed foods and sweets from your diet. These kind of foods usually add toxins to your body. You can also add a variety of organic foods to your diet. This is one way of keeping your body clear of impurities. Organic foods are developed without toxins such as artificial hormones and chemicals. You can find a large variety of organic products in the market as well. 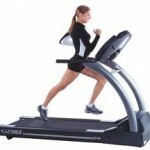 An essential activity that aides in your body detoxification program as well as maintains your fitness is exercise. You should at least perform cardiovascular exercises that make you sweat and you can also do some relaxing exercises, such as yoga, to eliminate stress. There are lots of people today that are complaining of stress over work, home or money. But you can help eliminate that stress by performing some simple exercise everyday. Exercise is the most natural way to not only get in shape and burn calories thereby maintaining or losing some weight, but also to sweat out toxins. In addition to that, you can also eliminate stress by way of natural body detoxification. Still another way of cleansing your body is by taking in supplements. You should take the proper multi-vitamin in order to naturally cleanse your body. This should provide the vitamins and minerals that could be missing in your daily diet. If you are serious enough in maintaining a disease free body you should practice good health habits and avoid behavior that leads to toxins entering your body. If possible you should avoid habits that are detrimental to your health such as smoking, taking drugs or drinking alcohol. . Following all this body detoxification methods are often easier said that done but once you get into the habit of naturally cleansing your body, you will discover that it not only gets easier, but that you start to feel healthier and look better. Once you understood how everything is done it is not difficult to implement body detoxification at home. You will find that your entire body will learn to respond to natural body detoxification. And when you start to see and feel the results, it even gets easier.